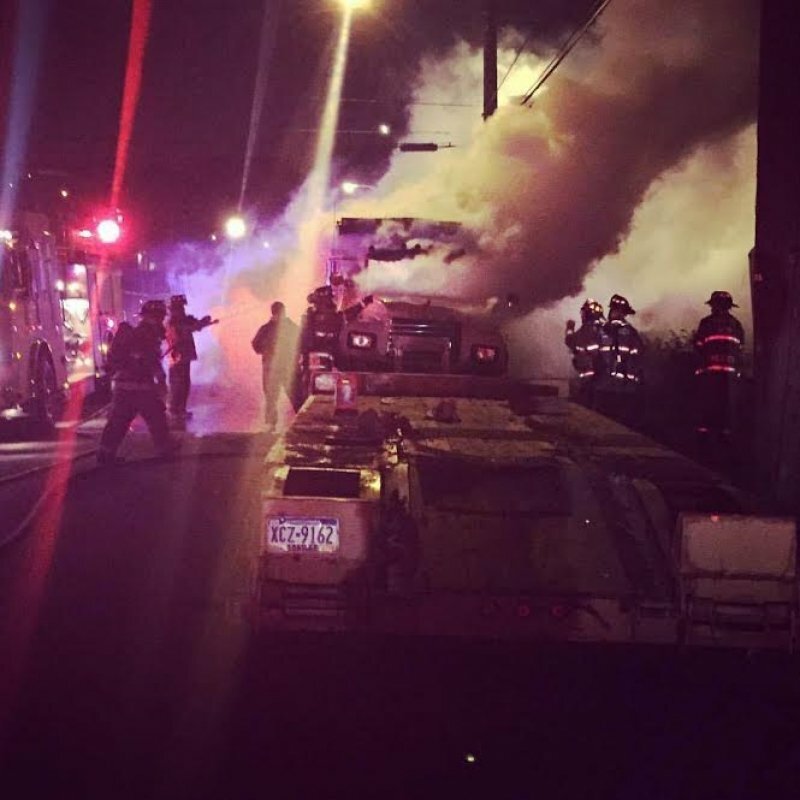 Stations 207, 113 (Braddock), 238 (Rankin) dispatched to Eighth Street and Talbot Avenue in Braddock for a reported vehicle fire. Moments later Braddock Police on scene stating a fully involved dump truck on fire. Crews from 113 and 238 stretched preconnects for fire extinguishment. 207 provided additional manpower.